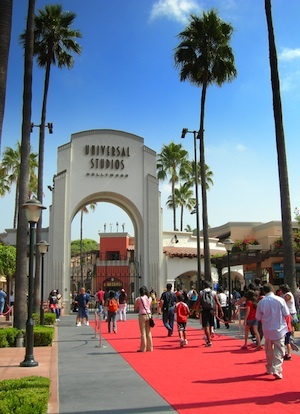 Welcome to this unofficial fan site charting the history and development of Universal Studios Hollywood over the years since movie production started on the site in 1912. Creative staff at Universal Studios Hollywood constantly redefine the meaning of “themed entertainment” with high-tech attractions as diverse as Waterworld and the Revenge of the Mummy. Underpinning it all is the solid historical background of Universal Pictures, the movie studio around and through which the theme park has grown and evolved. I hope you enjoy your stay here at Universal Studios Hollywood. Don’t forget to explore the other studios that this website now covers too. Listing of the current and past attractions and entertainments at the World’s largest movie studio and theme park. Details of the current and past studio tour sights and attractions.